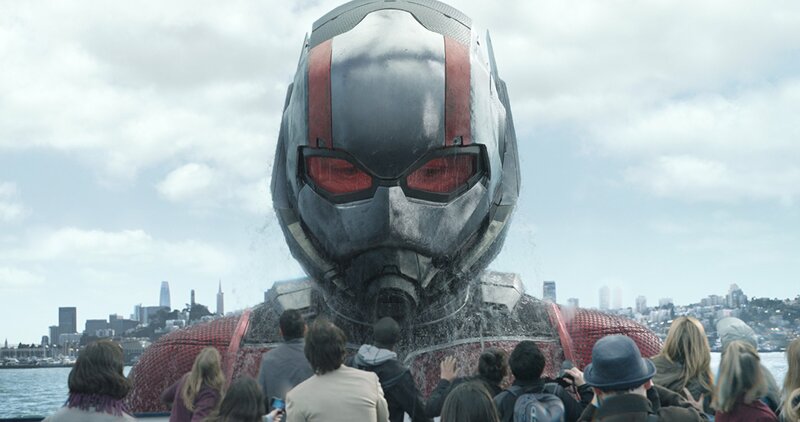 It’s ironic that the 20th entry into the Marvel Cinematic Universe (MCU) is not a grand epic crossover like Infinity War, but instead a sequel to Ant-Man; better remembered for Edgar Wright’s prior involvement, Paul Rudd’s lead performance and the visuals, than the overall quality. Ant-Man was decent, but it was one of Marvel’s less good films, light but forgettable. Though this latest entry into the MCU has a strong advantage in also being light, after the weight of Infinity War, audiences will be yearning to relax and have a good time. Luckily, Ant-Man and the Wasp succeeds at this and improves substantially upon its predecessor. Scott Lang (Paul Rudd) is under house arrest after the events of Captain America: Civil War, unable to take care of his daughter Cassie (Abby Ryder Fortson) and still separated from his ex-wife Karen (Judy Greer), who is still with new husband Paxton (Bobby Canavale). One day, he gets a vision concerning Janet (Michelle Pfeiffe) the wife of Hank Pym (Michael Douglas), who shrunk down too much in a mission during the 60’s that she became trapped in the Quantum Realm. Hank and his daughter Hope (Evangeline Lily) learn of this, grab Lang and embark on a mission to find her. Meanwhile, they are pursued by arms dealer Sonny Burch (Walton Goggins) and Ghost (Hannah John-Kamen), who has ulterior motives for wanting Janet. This film greatly improves on all aspects of the first film. The story has prominent emotional stakes around marriage and parenthood, with much more substance than the simple ‘steal technology to reunite with daughter’ plot from Ant-Man. Whilst the plot is somewhat limited by the film’s breezy nature, that does not stop it from being unpredictable and surprisingly moving. The characters are better utilised, as Hope is promoted to co-lead and she is given a lot of emotional scenes, being more sympathetic than the bratty daughter she was previously. Luis (Michael Pena) is given more to do but his comedic antics are also toned down, which make his jokes far funnier. Other characters like Hank and Scott also get deeper arcs regarding their respective daughters, the latter of which features one of the MCU’s better child performances from Fortson. There is also a good villain in the form of Ghost. Marvel’s undeveloped villain problem has largely been resolved by now, but the writers could have still paid no attention to creating a compelling antagonist. Ghost’s powers are visually appealing, her motives are believable as well as tragic. Hannah John-Kamen is scary but also sympathetic in the role and the writing strikes a good balance between fear and empathy. Paul Rudd and Evangeline Lily have strong chemistry and their friendship to possible romance relationship is quite believable. Rudd redeems himself after Mute by giving another likeable and charming performance. Lily proves herself to be good in the dramatic scenes as well as the action scenes. The standouts are Michael Pena as Luis and Randall Park as FBI agent Jimmy Woo, both actors are naturally funny in their comedic roles without being obnoxious. Everyone else is strong as well, which is due to the script that utilises them to their talents. There are only a few issues, such as Sonny Burch’s plotline feeling peripheral, Karen and Paxton not having much to do this time and some clichés and conveniences in the story. There is also a sense that the story has too much going on at some points, particularly during the second and third acts. However, every plotline eventually gets resolved in a satisfying manner. Make sure, as with most Marvel films, to stick around for the mid-credits scene – which pulls a massive 180°. The cinematography and visual effects are incredibly impressive, with the action scenes being some of the most creative and entertaining in the MCU so far. The shrinking and phasing abilities that the characters have always spice up moments of action that could have easily been generic. The fights are well choreographed and memorable, due to the great camerawork and the weight of every punch and kick thrown. The de-aging effects for the older actors are also the best they have ever been, which is something that Marvel Studios has consistently excelled at. 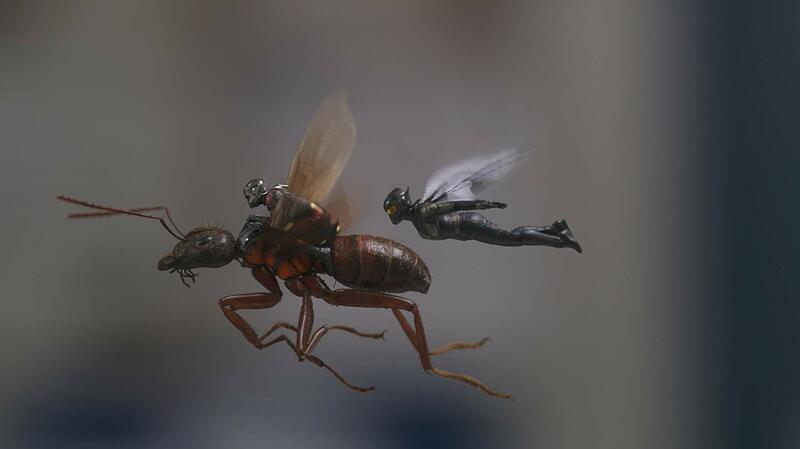 Ant-Man and the Wasp is one of Marvel’s stronger sequels, telling a better story with more emotional depth and a deeper sense of characterisation. It might not fully stick with you, but it will leave you feeling happy and satisfied.